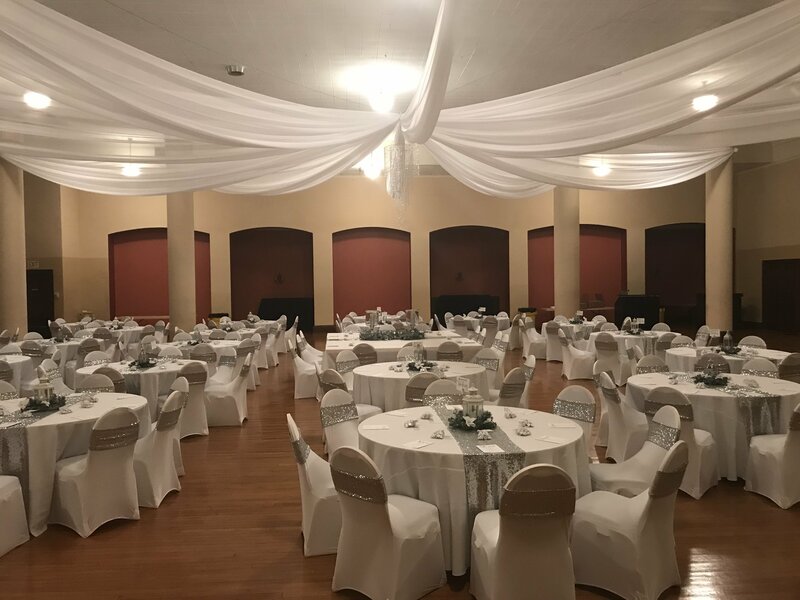 From four swags to ten - you choose - ceiling draping at Scottish Rite Consistory in downtown Des Moines, Iowa, adds the luxurious affect to any wedding reception. And we accent it with a FREE rental 48" crystal chandelier. Call today for pricing to let us help you create the wedding of your dreams within your budget at Scottish Rite Consistory.